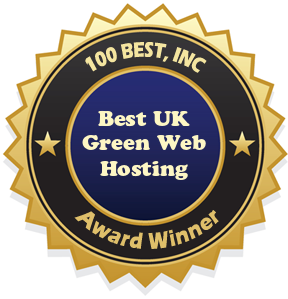 Best Free Web Space is recognizing Clean Air Hosting as the best UK green web hosting company! With the need for more focus on clean air and green web hosting efforts by all, we are excited to learn of more and more hosts that are making an effort to go green and do their part to protect the environment. At Clean Air Hosting they have taken a particular interest in the environment and how their web hosting service can be as green as possible. Because of the reliable service they offer and their efforts in helping the environment, Best Free Web Space has chosen to award them with this Best UK Green Web Hosting award. The green web hosting service from Clean Air Hosting is backed by a 30 day money back guarantee, which means if you are unhappy with their service for any reason they will refund your money with no questions asked. The Clean Air Hosting service uses the cPanel control panel, providing every customer with many features and options available through a simple download with a couple of clicks of the mouse. Some of these one-click installs include forums, photo galleries, blogs, and much more. If you are looking to create an auction site or some form of ecommerce site and need a shopping cart or other support features, check out all the features offered by Clean Air Hosting. This is only a partial list of features, visit the Clean Air Hosting website for a complete list of all the features that are included. On the Business and Professional plans a dedicated IP is also available for purchase. Deciding which of these green web hosting plans is best for your needs will depend on the amount disk space and bandwidth you need, as well as how many domains you want on the account. Each upgrade from the Starter account adds additional MySQL databases, FTP accounts, and email accounts. If you are not sure of how many resources you will need, potential clients can contact the support team and they can assist you in choosing the plan that will best suit your website needs. For the beginner, Clean Air Hosting has numerous web hosting tutorials to give you step-by-step help with things like file transfer, setting up your email, backing up your account and much more. Check out the cPanel demo on the Clean Air Hosting site to see just how easy managing your green web hosting site can be.